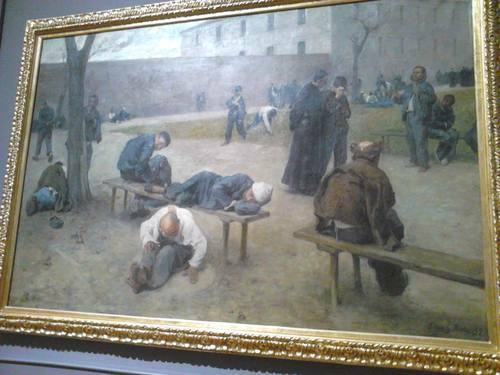 This oil-on-canvas painting of a mental hospital in the late 19th century is a work by Italian painter Silvio Rotta (1853 - 1913) and can be seen in the Galleria Nazionale d'Arte Moderna in Rome (Viale delle Belle Arti, 131). It was named "Nosocomio" (Italian word for "hospital") and dates back to 1895. More information in the Museum's official record.